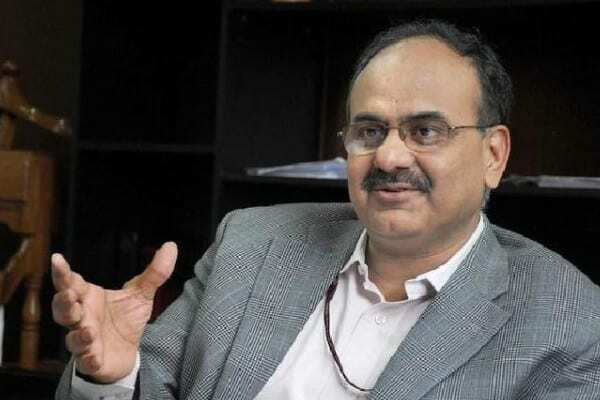 The recent Supreme Court verdict on Aadhaar has ensured stronger safeguards which will accelerate India’s digital journey, UIDAI CEO Ajay Bhushan Pandey has said. Pandey confirmed that the Aadhaar-issuing body Unique Identification Authority of India (UIDAI) has initiated the process of deleting the authentication log beyond six months, as directed by the apex court. The Supreme Court had in a landmark verdict in September restricted the use of Aadhaar authentication by private entities in the absence of a legal provision, but allowed its mandatory use for welfare schemes, filing of Income Tax (IT) returns and allotment of Permanent Account Number (PAN). Since the verdict, the UIDAI has clarified that service providers can also use offline verification tools like eAadhaar, masked Aadhaar and Quick Response (QR) code that leverage the unique ID without authentication or any access to biometrics. It has recently written to the banks clarifying that Aadhaar eKYC can be only used to authenticate beneficiaries of government subsidies and welfare schemes while for other customers physical or electronic offline Aadhaar (in a masked form) can be used for verification, so that such customers can also be served digitally. Noting that Aadhaar neither tends to create a “surveillance state” nor infringed the Right to Privacy, the Supreme Court declared that the Centre’s biometric identity project was constitutionally valid but limited the scope, ruling that it is not mandatory for bank accounts, mobile connections or school admissions. Also, ruling that Aadhaar authentication data cannot be stored for more than six months, the court directed the government not to issue Aadhaar to illegal immigrants. “The SC has asked us to delete the authentication log beyond six months. We have initiated the process,” Pandey said. “The apex court has also asked us that no illegal immigrant should be given Aadhaar, so we have started reviewing our own process on how we can make the scrutiny of the document more rigorous…We are taking a number of steps to implement the order to enhance safeguards,” he added. The Supreme Court had also asked the government and the UIDAI to take a series of measures to enhance safeguards and privacy of people who use Aadhaar. “This would certainly take us miles ahead in our digital journey with augmented safety. India’s digital journey will get a boost by this landmark judgement because it is now supported by stronger data protection safeguards,” Pandey said. Pandey said he believes that the September judgement in reality strengthens “India’s digital narrative as it comes with a lot of stronger safeguards” which “will create confidence among people”. He added that the verdict has come as a “big win” for the people of India, a stand that UIDAI has maintained since the apex court pronounced the order in September.